84 (Apologies for being out of focus – sometimes the phone camera does that. This is for last Friday, the 18th.) We did a teambuilding exercise in the AP class today: the paper tower activity. The class was divided into five groups of five, and each group had two pieces of paper, two pairs of scissors, two rulers, and two 2-decimeter pieces of tape. Then they had about 25 minutes of SILENT time to work as a team with the goal of building the tallest tower based on the floor and not attached to anything but the floor. The winning team planned in advance by writing things down, measured before they cut, and worked well together to build a tower 140 cm tall. 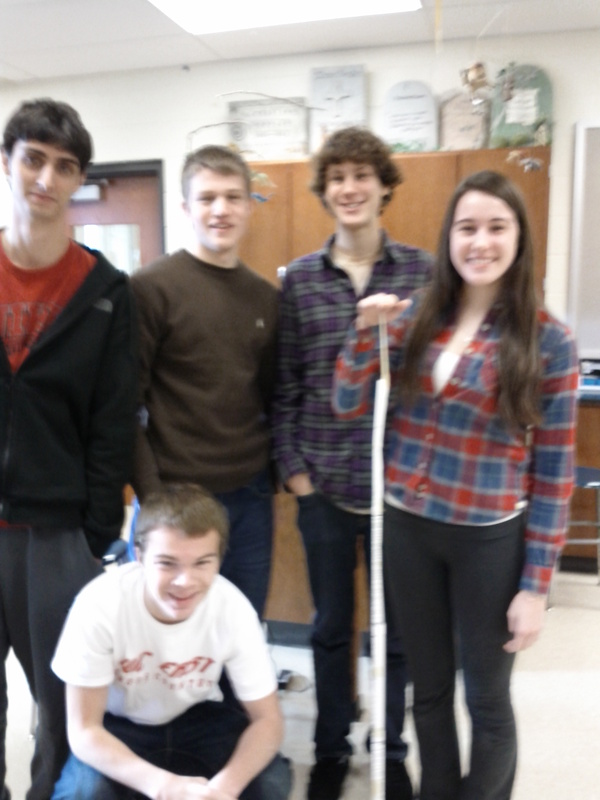 The second-place team finished quicker but built to only 135 cm high. Two teams did not complete a tower that could stand up on its own.